The James Eldred House dates back to the 1820s, resting on land that was among the first to be occupied in Greene County. Several generations of the Eldred family lived in the house during the nineteenth century, but it was built and originally settled by James and his wife, Emmeline. They became well-established famers, raising crops and livestock, and operating a successful cheese business. In the midst of their success, though, tragedy stalked the family. All three of the Eldred daughters died in the house. In 1861, the family was shattered by the death of Alma, who was only four-years-old at the time. In 1870, they lost their youngest daughter, Eva, and then Alice, in 1876. Both girls perished from tuberculosis, a terrible illness that was tragically common in America at the time. The deaths of the three girls stunned James and Emeline and they never really recovered. Financial problems plagued later members of the family and eventually the house was sold and then later, abandoned. In 1995, the property was donated to the Illinois Valley Cultural Heritage Association (IVCHA), which began making plans to restore the house and create an information and visitor’s center for the area. By then, the house was in deplorable condition. The structure was sound, but the stone was crumbling, the detail work had been erased by time and the elements, and the interior woodwork had largely vanished. Soon, though, a valiant effort began to be organized to not only save the house, but to restore it to how it looked in 1860. 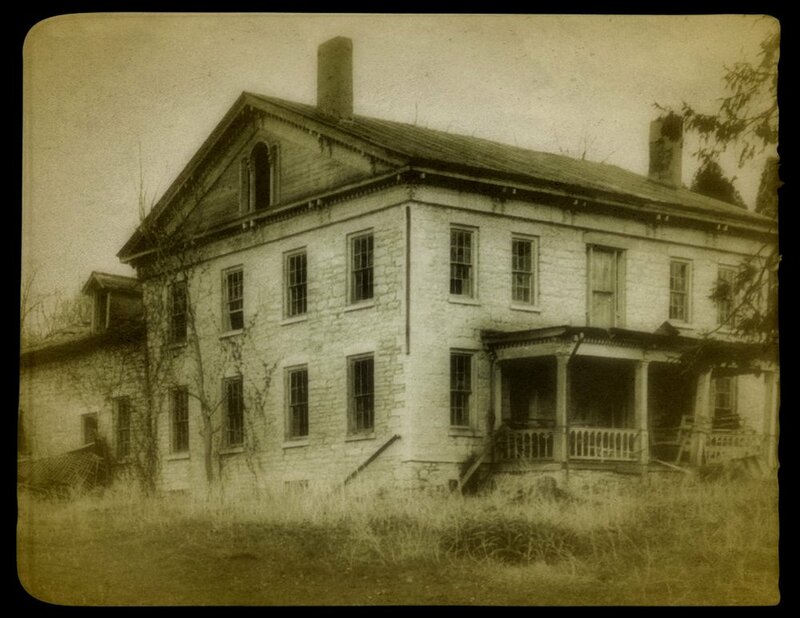 Not long after work began, the volunteers who made up the majority of the work force, began to notice that strange things were happening at the ramshackle house: people were hearing voices and whispers, they were being touched and tapped on the shoulder, tools were vanishing and turning up in other places. The Eldred House, it seemed, was haunted. The spirits who inhabit the house are believed to be many — a Native American man whose remains were found on the property, a traveling salesman, and most notably, the ghosts of the Eldred family themselves. We hope that you’ll join us and experience this historic location first-hand and see for yourself if there is truth to many stories that have been told about the house! All guests are required to sign a waiver before the ghost hunt and children under the age of 12 are not allowed! A Portion of the Proceeds go to the Restoration of the House!